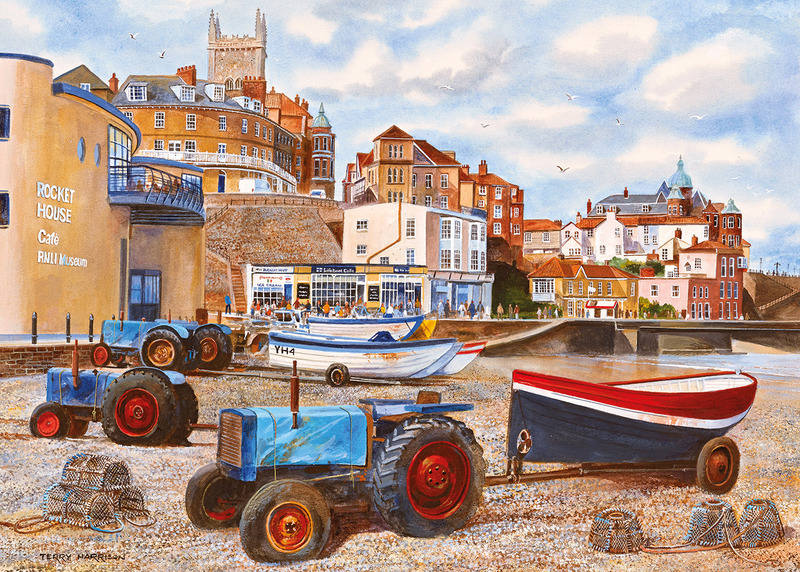 Shortlisted for the 2014 Artist of the Year prize, Roger Turner's painting of Mevagissey Harbour portrays the beautiful Cornish fishing village in this colourful and vibrant puzzle. Facing east to Mevagissey Bay, the harbour is busy with working fishing boats that are used to catch mackerel, herring and pilchards for the local shops and restaurants. The puzzle pieces in the 500XL range are twice the size of a standard 1,000 piece puzzle and are ideal for people with handling or sight difficulties. Once completed, the jigsaw is the same size as a standard 1,000 piece. Mevagissey Harbour is also available as a 1,000 piece puzzle. High quality jigsaw puzzle with 500 extra-large pieces. Roger Neil Turner was born in Great Bridge, West Midlands, in 1956 and has been painting from a very young age. Growing up in Australia, he returned to England in 1976 and paints representational art in oils, acrylics, watercolours and pastels. Roger employs an eclectic mix of styles and techniques in his work and well known for his stunning harbour paintings.